With 15 years’ experience, our team knows that that electrical problems can be stressful. That’s why our emergency electricians are available 24 hours a day and 365 days a year, giving our clients the peace of mind that fast and reliable service is just a phone call away. Call us now if you need emergency electrical support – 1300 300 222. A blown fuse is the result of excessive current passing through, causing the fuse to overload. It can lead to power failure and damage to your devices, so if you’ve blown a fuse, call an emergency electrician now. Click to find out more about blown fuses. Your safety switch is there for a reason: it’s activated when one or more powered devices in your home or office fails, protecting you from danger and reducing the risk of further damage. Find out more about safety switch failure and how to avoid overloading your system. In Victoria, there are more than 3000 house fire a year. Many of these are caused by electrical faults. The main culprits behind dangerous electrical fires include faulty sockets and wires, overloading your circuit, and faulty appliances that are misused or overused. Depending on the condition of your lighting or appliances, failure can easily and quickly lead to electrical fires or electric shock. Examples include sparking power sockets, a tripping safety switch, or flickering lights. An area-wide blackout (like your entire street) is the responsibility of the power company, but an electrical fault within your home’s system – where you’re the only one without power – requires the immediate attention of an emergency electrician. We Melburnians know how temperamental our weather can be! Severe storms or rain can result in power line damage, water damage to appliances, and safety switch problems. If your home has suffered after bad weather, call our emergency electricians now! Don’t risk injury by trying to identify an electrical fault yourself. No matter the time of day or night, our 24-hour electricians are here to help. Our priority is to quickly dispatch our after hour electricians to ensure that you, your family, and your home or office is safe. Amazing service. Helped out with everything we needed for our cafe including data cables, lights, power points, coffee machine connections, and more. Easy to work. Highly recommend. Came out for an emergency. Was here super fast, no mess the most polite and professional tradie I’ve ever come across! The team at Briggs Electrical do a great job. They are knowledgeable, well presented and David Briggs’s enthusiasm about his business and life is contagious! With more than 10 years of experience, Briggs’s electricians are experienced in a wide range of domestic electrical services, from day-to-day maintenance to specialised tasks including antenna, home theatre, and security system installation. 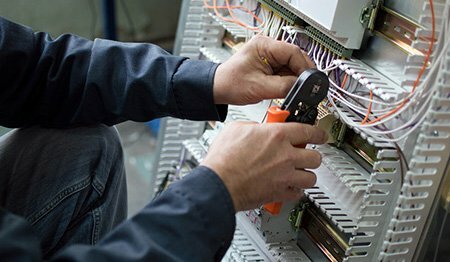 General electrical services include new wiring installations, lighting and power solutions, safety switch services, and any other alterations, additions, or repairs. Is an old antenna causing problems or resulting in poor television quality? 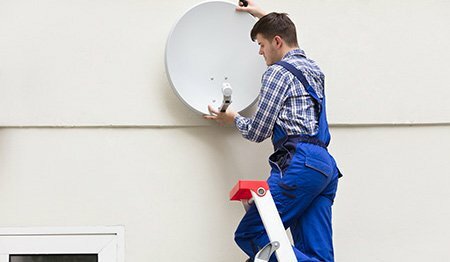 Choose Briggs Electrical to improve your TV viewing with specialised antenna installation services. We can also securely mount your television! 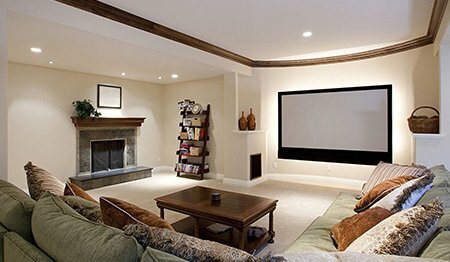 Turn an unused room into a cinematic experience you can enjoy from the comfort of your own home with professional home theatre installation in Melbourne from Briggs Electrical. 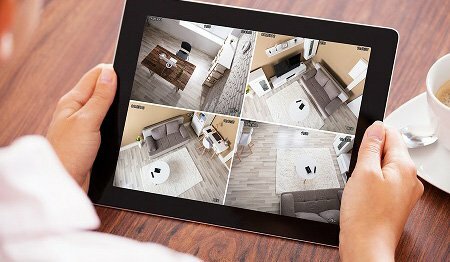 Improve the security and safety of your home with complete home security systems from Briggs. We can quote and install new security systems, updated systems, replacement systems, CCTV cameras, intercoms, panic buttons, and more! From fit outs and rewiring to strategic electrical solutions, Briggs can manage even the most challenging commercial Electrical jobs in Melbourne. Rely on quality assurance and a superior level of service from Briggs. Moved into a brand-new office? We can help install switchboards, safety switches, power sockets, and much more. Critical for safety, we install exit and emergency lighting that meets building codes in areas such as stairwells and doorways. If it’s got a cable, we can help! Get your business up and running with electrical data solutions from the team at Briggs. Light up your workplace, office, or retail store with strategic lighting! We can also help strategise more complicated lighting systems, for spaces like warehouses and car parks. Ensure a safe environment for your employees and customers with security and CCTV systems in place. Briggs can design, quote and install. Our service area spans across much of Melbourne’s CBD, east, and Bayside region. 365 days of the year, Briggs Electrical is busy delivering rapid electrical solutions to homes and business across Melbourne, including after-hours and emergency services. If it’s got a wire, we can help – so don’t hesitate to call Briggs Electrical anytime on 1300 300 222. In more than 10 years, no matter which job we’re call to, we take pride in the service that we provide. We guarantee that all work is completed by qualified, licensed and insured tradesmen you can choose to trust for life. We know calling a tradie is the last thing you wish you had to do. And we understand how important it is that you feel comfortable inviting us into your home. Our electricians are police-checked, friendly, and trustworthy. 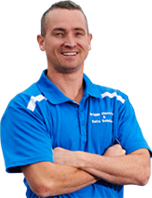 Our team is made up of a group of friendly and passionate electricians. Every project we attend to is more than just a job – it’s a way to meet new people, discover new businesses, and help bring visions to life through strategic electrical planning, installation, and repairs. Tradies have a bad reputation. Briggs Electrical has been working over the past decade to smash this misconception! Our team are neat and courteous, and will clean up your space at the completion of a job. It’ll almost be like we were never even there! We recycle and sell as much unused materials as we can and donate the money to the Royal Children’s Hospital!